Would you like to learn how to get rid of things that are inessential to your life and that are just weighing you down? This audiobook will help you in understanding the concept of minimalism and the ways in which it can affect your life. This audiobook will also familiarize you with the basic principles of minimalism and the value it brings to your life and getting rid of clutter or unnecessary stuff in your life in order to make yourself more productive and more fulfilled. It discusses what minimalism is and what you have to do to become a minimalistic individual. It tells you about the benefits of this practice, so you can be motivated to modify your lifestyle and only live with the things you need. Do you feel that you are struggling to cope with everyday tasks at home, work, business, and with family? Through this audiobook, you will learn that such thoughts and behaviors are not necessarily helpful. If you want to live a peaceful and stress-free life, you should get rid of the things or thoughts that weigh you down. You should try being minimalistic so you can have more space for better things and opportunities. 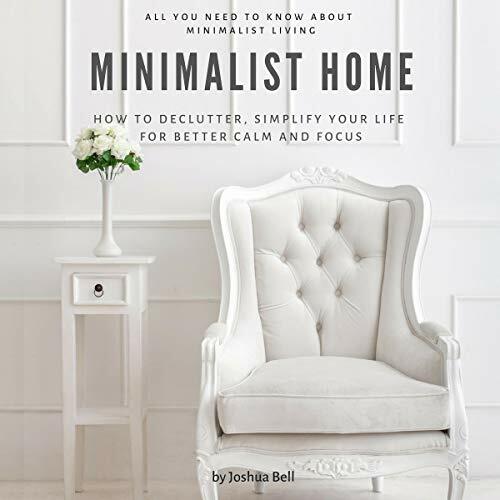 This audiobook tells you how you can have a minimalist home and work space so you can get started with being a minimalist. Minimalism is simply not only about a way to declutter your homes, but it is also a way to simplify your life. Order now and add meaning to your life and shed away the unnecessary!